Russia’s superior icebreaker fleet rarely goes unmentioned in Arctic discussions in Washington. But U.S. policymakers may have bigger problems to worry about in the Arctic. In a Defense News commentary, Magnus Nordenman, director of the Transatlantic Security Initiative at the Atlantic Council, argues that the focus on Russia’s superior icebreaker fleet as a threat to the U.S. is faulty. Instead, he claims that the challenge to American security in the Arctic comes from the resurgence of the Russian Navy and the Northern Fleet. In the last few years U.S. policy makers, the U.S Coast Guard and members of the defense and research community have pushed for a stronger U.S. involvement in the Arctic. The aging U.S. icebreaker fleet has become the center of attention in these debates, especially since the U.S. assumed the chairmanship of the Arctic Council in April 2014. Currently the U.S. Coast Guard operates one heavy icebreaker, the Polar Star, which is nearly 40 years old. With the opening of the Arctic, new resources and shipping routes have become more accessible. Increased human activity raises a need for protection of the environment as well as people. A functioning U.S. icebreaker fleet is vital for operating in the challenging Arctic environment, and to respond to possible emergencies, oil spills and disasters. In a 2015 op-ed in the Wall Street Journal, the Chairman of the Senate Armed Services Committee, John McCain (R-AZ), voiced his concerns that the US is behind Russia when it comes to polar icebreakers. “We’re not even in the same league as Russia Right now. We’re not playing in this game at all,” Coast Guard Commandant Paul Zukunft said in a 2015 interview with Newsweek. In a Feb. 21 letter to President Trump, the chair of a House Armed Services Subcommittee Duncan Hunter (R-California) voiced “tremendous concern” over the superior Russian icebreaker fleet, and urged the new Administration to fund six new icebreakers. Nordenman on the other hand, argues that although icebreakers are necessary for U.S. homeland security purposes, there is no “icebreaker race” with Russia. “The fact that Russia has lots [of icebreakers] is not a threat to the US,” he tells High North News. In fact, he argues that it is perfectly understandable that Russia is expanding its icebreaker fleet. Russia has the world’s longest Arctic coastline, and draws around 20 percent of its GDP from activities in the Arctic. 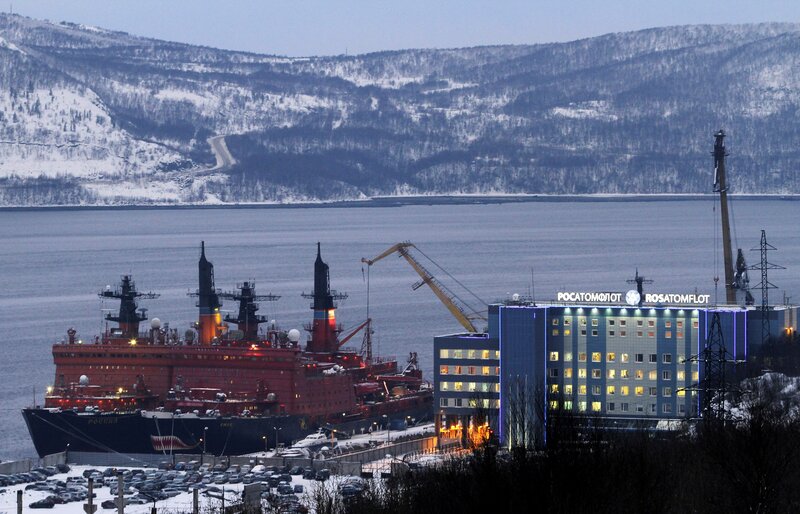 Russia is also seeking to develop the Northern Sea Route as a shipping lane, which requires the ability to navigate in icy waters and the capacity to respond to potential emergencies in a vast geographic area. So why the focus on the “icebreaker race” in the U.S.? “It’s easy to understand, and it is easy to actually see. It is also worth remembering that while America is an Arctic nation, few here spend much time thinking about it,” says Nordenman. Instead, Nordenman argues, the real concern to the U.S. in the Arctic comes from the resurgence of the Russian Navy and the Northern Fleet. Located on the Kola Peninsula, the Northern Fleet operates sophisticated military equipment, such as Russia’s sea-based nuclear forces, close to NATO territory. The NATO Maritime Command has recently reported that the Russian submarine activity in the North Atlantic equals to Cold War levels. “All indications point to that Russia is seeking the ability to enter the Atlantic to be able to cut off U.S. reinforcements from coming across to Europe during a crises,” Nordenman tells High North News. He adds that Russia has demonstrated the ability to launch land-attacks with cruise missiles from submarines — as it did against targets in Syria last year. In order to meet this challenge, the U.S. has to work more closely with allies in the region, says Nordenman. For example, the U.S. can work more closely with countries such as Norway and the United Kingdom on exercises and a more consistent presence in the region. This month the Norwegian exercise Joint Viking takes place in the Norwegian Arctic, and approximately 700 soldiers from the U.S. Marine Corps, the U.S. Army and the British Royal Navy are participating.